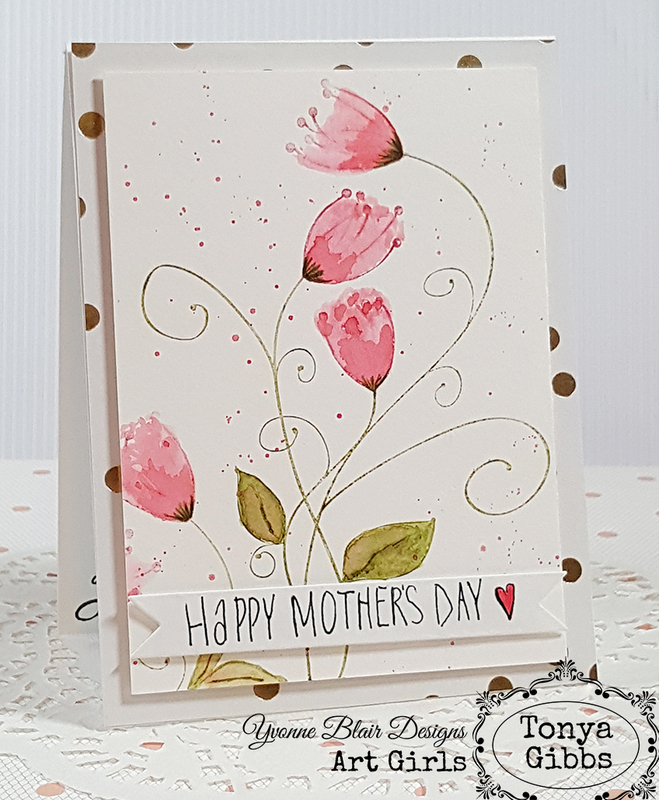 Want a beautiful Mother's day Idea! Well, Tonya has one for you! Thank you Tonya...this is gorgeous! Hi everyone! Today I would like to share with you a simple technique for creating a watercolor card that is easy and sure to please. This card would be fantastic for any occasion. Since Mother's Day is around the corner, I decided to make mine for my Mom. I know she is going to love it! 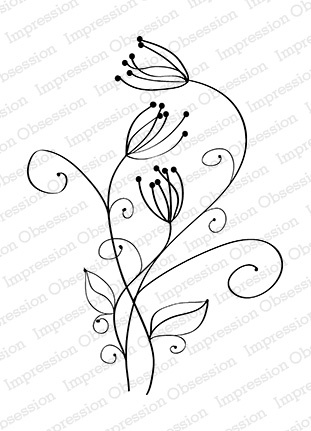 I'm featuring Yvonne's Swirly Vine stamp from Impression Obsession today. Isn't it gorgeous? 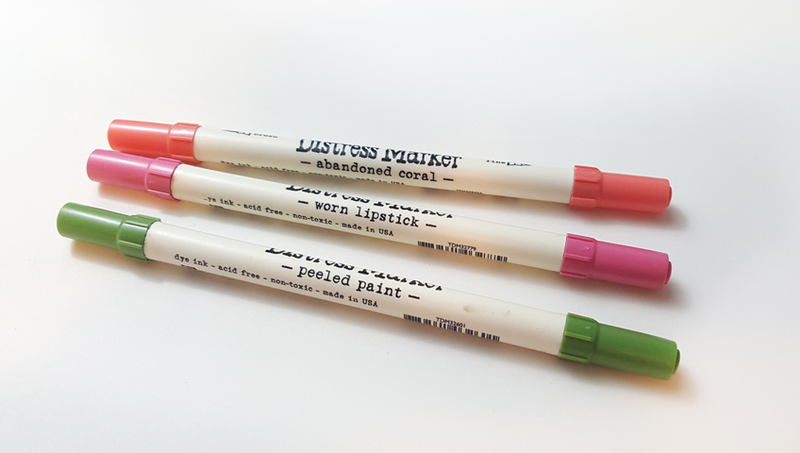 For my watercolors, I'm using Tim Holtz' Distress Markers from Ranger in Abandoned Coral, Worn Lipstick, and Shabby Shutters. You can use whichever colors you like, and any watercolor markers you like for this technique. The technique is the same. I love the muted colors of these markers and brown undertones. Wasn't that super simple? I love how easy this stamp was to color and create a card. 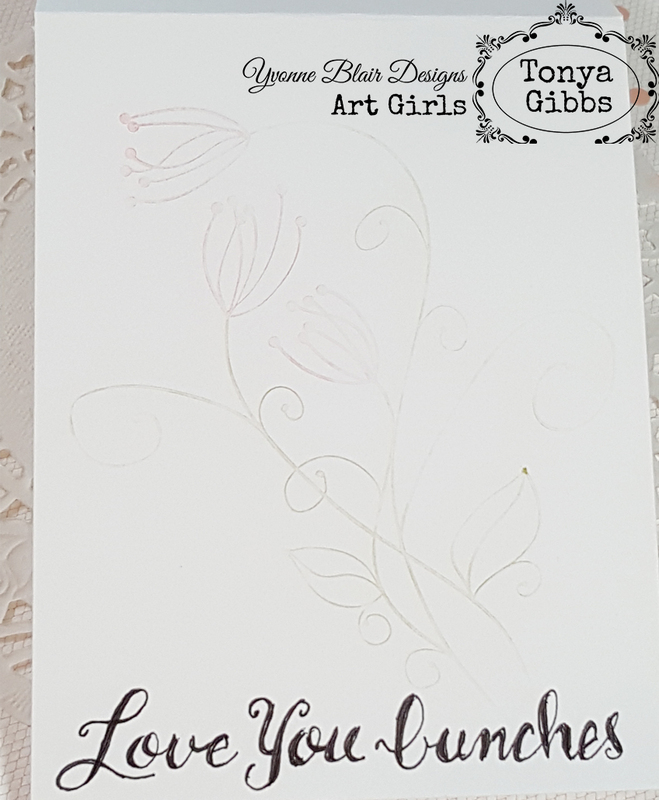 It would be super simple to create a stack of these cards in various sentiments to share with a friend as a gift set, or to have on hand for any occasion. 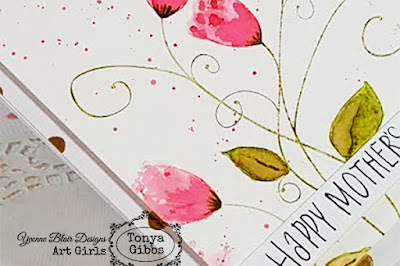 I hope I have inspired you today to create a card using this stamp. Love how she thought out of the box on this stamp. It turned out just beautiful. This is so beautiful!! Thank you so much for sharing the process .. loved the video! !